adm’s London-based Insights and Innovation team recently visited Clapham North’s Sainsbury’s, where hellish supermarket queues will soon be a thing of the past. One of the first stores worldwide to offer till-free shopping, the team had a chance to try out the supermarket’s SmartShop technology which allows shoppers to scan and bag items in the aisles before paying effortlessly on their mobile phones via the app, simply scanning a QR code located at the store’s exit. 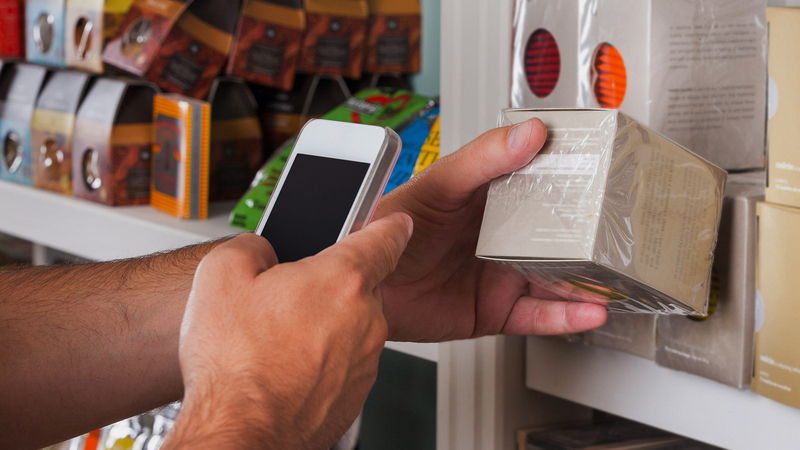 While such an alternative shopping experience may unnerve some customers, initially – bypassing tills and queues on the way out may feel a little like stealing! – the benefits of a speedier visit to the supermarket will ultimately outweigh any fleeting feelings of discomfort and will provide shoppers with a revolutionised and much-improved shopping experience. Exciting app advances are in the pipeline, including the development of a feature which will allow customers to upload personal shopping lists to the Smartshop app, subsequently receiving directions to the product locations, as well as any special offers detected in the aisles nearby. Development of such advanced systems provides an opportunity for shoppers to interact with individual products and brands in new and exciting ways. A recent collaboration between adm and Bombay Sapphire involved consumers having to scan a unique bottle code to be in with a chance of winning one of 5,000 iconic Bombay Sapphire balloon glasses. The famous gin brand further developed this idea by creating an immersive AR (augmented reality) experience for their customers. By scanning a Shazam code on the bottle neck tag, a series of eye-catching animated botanicals appear to grow from the bottle. Exclusive video content exploring a selection of different Bombay Sapphire cocktail recipes, accompanied by smooth background music reflective of the essence and character of the brand, was also provided and is a great example of a brand offering consumers the ‘insider access’ they seek. Recent trends suggest that future use of such innovative technology will not only be for ‘surprise and delight’ purposes but also utilised in a more every day and functional way. With this in mind, adm are working on a number of innovative solutions for clients who wish to create both useful and engaging retail experiences for their customers. While work is underway at adm HQ, we will be sharing some of our favourite examples of smart shopping worldwide. If you have recently experienced a new and inventive shopping feature, we would love to hear from you!